nopales in cooking are very versatile. they can even be added to pozole (a great cold weather stew) which will thicken the broth into a good red chile gravy. no southwestern yard should be without a bunch of nopales growing. just scrape the ground and “throw” a pad into the scrape and water it consistently, but not too much, to get the new nopal plant. they are not only good for food they make great barriers in the yard, landscaping plants and might even lure a cactus wren to build a nest & reside with you! Your demo was a big highlight of the event. 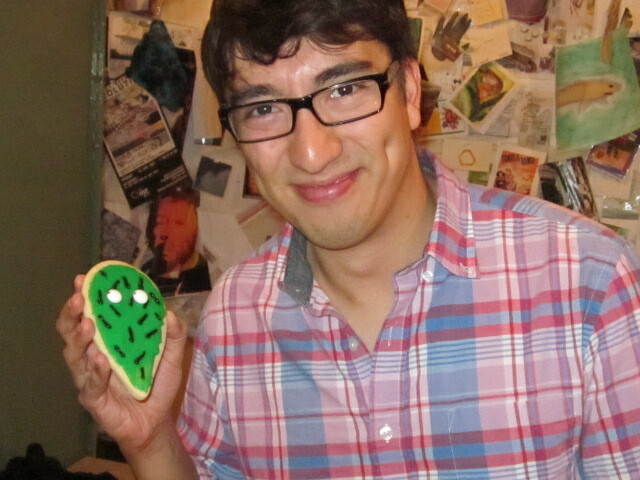 Thanks so much for coming up! Happy to hear you will be working with BPA. 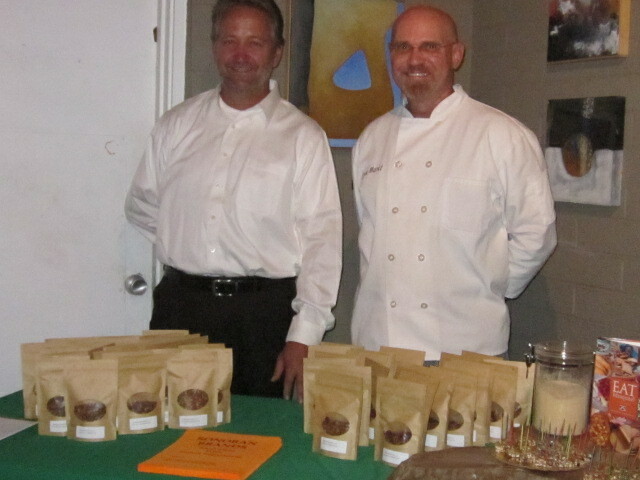 I am on their native food committee and will help get the word out for the event! 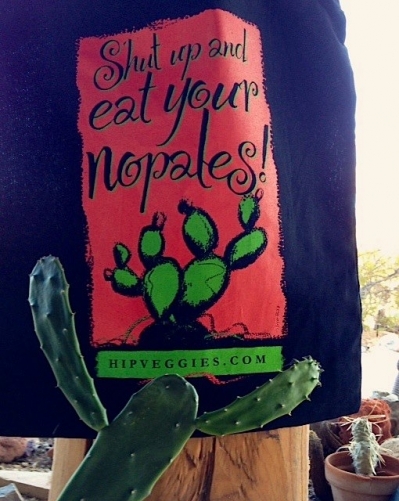 So even Phoenix has discovered nopales … Great news — there’s hope for us all. So disappointed that I didn’t hear about this event until now. I would love to learn more about the acceptable types of nopales and how to use them. Next spring I’m hoping to do a Phoenix workshop for Valley Permanculture Alliance on gathering, cleaning and preparing nopales. Stay tuned for dates.